Popcorns are triumphantly loved by everyone. It is one of the widely consumed movie snack. Popcorn boxes are convenient carrier of this savoured snack. These are now used as wedding or parties giveaways too. Just fill in the relished snack and serve it to your customers. 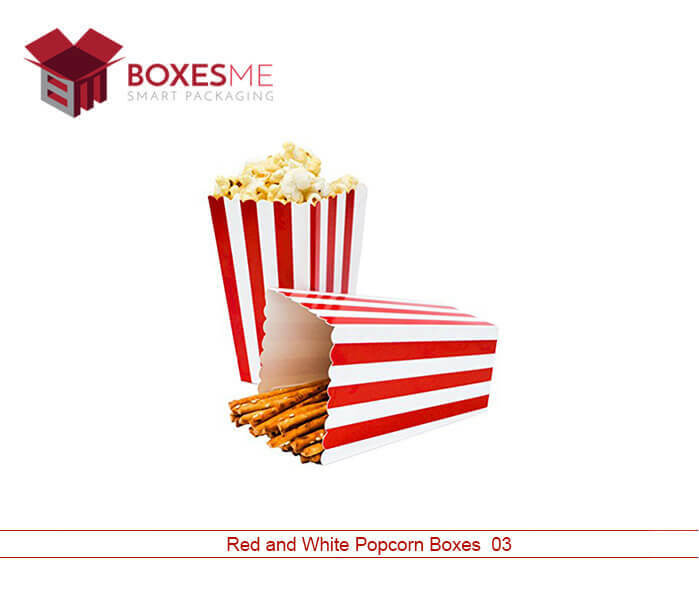 Red and white popcorn boxes are most famous among the customers due to their attractive packaging and fine quality. They can also be customized in accordance with popcorn flavor so the customer can easily select the flavor just by looking at the box. Which boxes is better Red and White Popcorn Boxes or Premade Gable Boxes? Popcorn boxes are an efficient way to increase the sale. 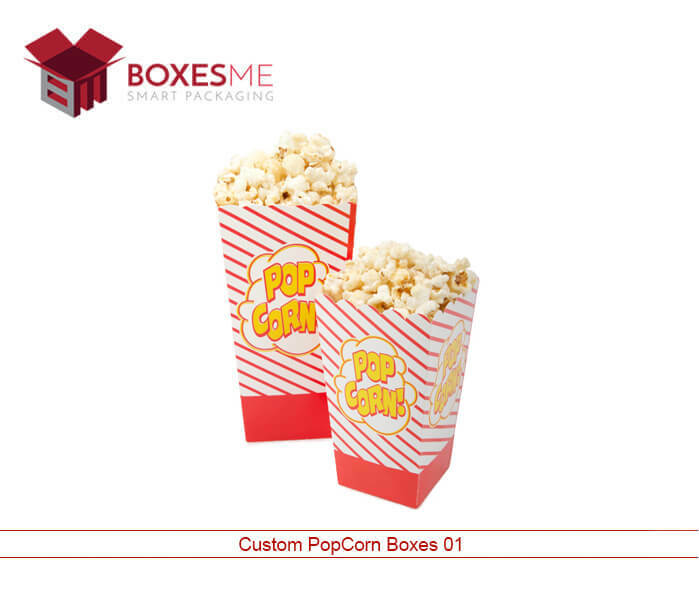 White popcorn boxes are easily available in market and are generally common. Though they safe a lot of designing and printing time but due to similarity with other sellers they are not much preferred by customers. Who likes a packaging that is not convenient and doesn’t give any information about the product enclosed in it. In such situations Red and White popcorn boxes serve as a saviour. They are easily customized according to any flavour or theme. Logo printed on them helps customer choose their favourite brand without thinking or searching. Packaging of food is very major and creates significant effect on customers mind. Food should be stored in boxes that comply with health standards and also maintains the original taste of product. Many options are available in market for storing the products like self-lock cake box, ice cream cone holder, four corner tray etc. 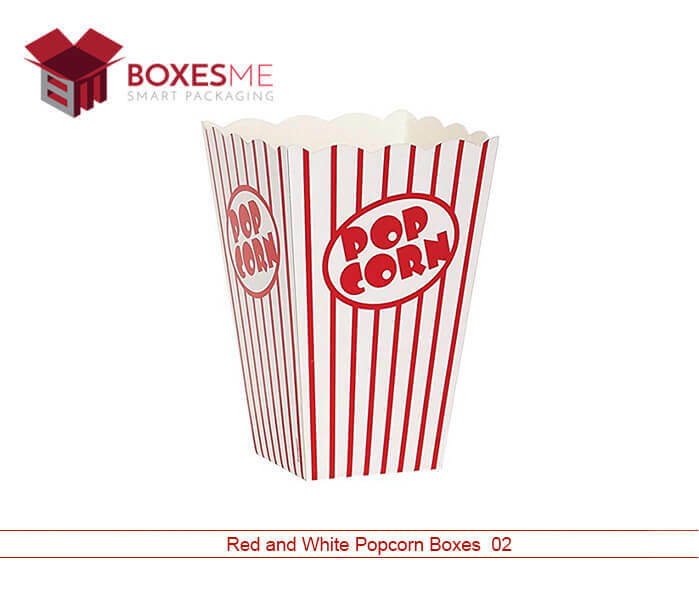 Red and white popcorn boxes are also manufactured with high quality as popcorns are sensitive food products. 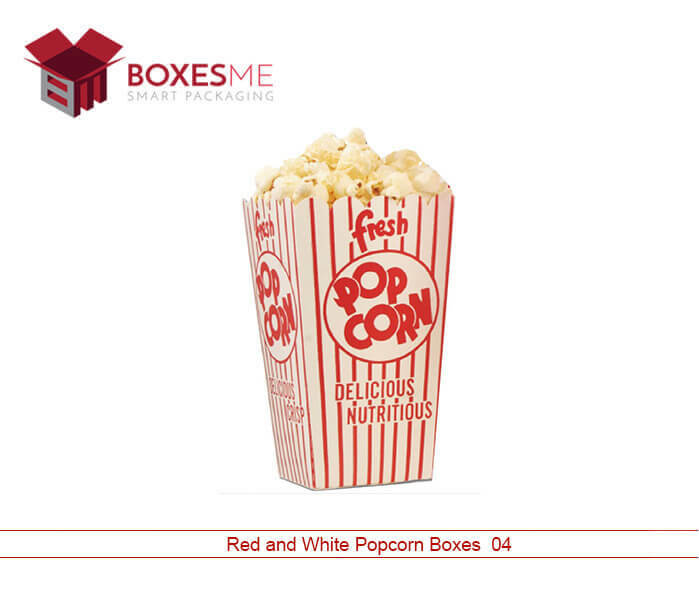 Both white popcorn boxes and red and white popcorn boxes are made of Kraft, card stock or corrugated stuff which is not very pricey, easily available in market and biodegradable. Red and white boxes are more preferred due to their customization which includes die cut, window panes and. Handles are added to make them easy to carry. Logos of brand are printed to make product stand out from competitor’s products. They can be customized in abundant styles and variations. Flamboyant colours and images on glossy or matte finished boxes leaves your customer astonished. 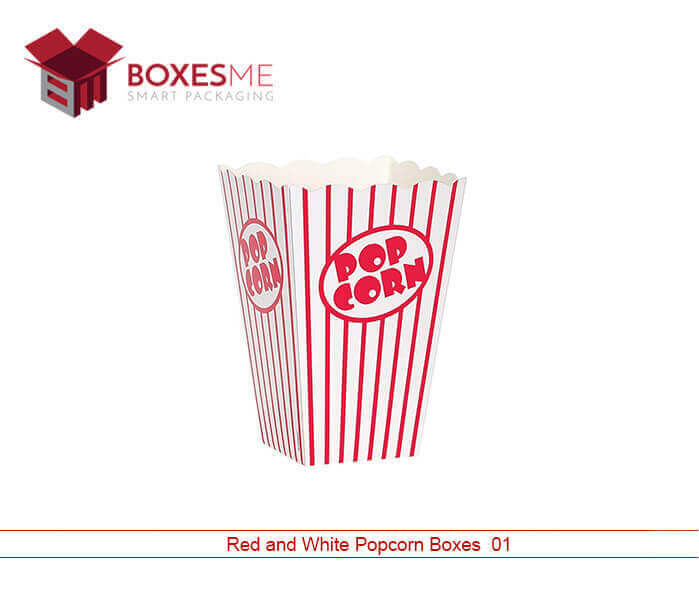 Looking for custom red and white popcorn boxes for a sports or movie night? We at BoxesMe Care have a lot of exciting options. Choose our beautiful box and customize them according to your needs or simply design your own box and let our experts bring out the best box for you. Being in industry for more than a decade now we can proudly say that we provide our customers best quality boxes with free customization options from our in-house expert and professional artists. So what are you waiting for just give us a call and order your custom made box and also avail our free delivery services.